Sheargold Pianos is a piano shop based in Berkshire supplying new and used pianos through Berkshire and the surrounding areas. If you are a beginner looking for a starter piano in Berkshire then why not pop into our shop in Maidenhead and we will help guide you through the range of new pianos, used pianos and digital pianos. 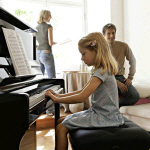 Looking for piano tuning in Berkshire? Sheargold Pianos offer complete piano tuning services throughout Berkshire and surrouding areas. We also offer piano removals, piano storage and piano rental. If you are moving house in the Berkshire area and need your piano moved, call Sheargolds on 01628 771400 for a quote. Pianos need to be moved properly and our highly trained staff can move your piano with no hassle. We also offer a 6 month piano hire in Berkshire for beginners. To avoid having to buy a piano outright we offer a rental to allow our customers to try before you buy! 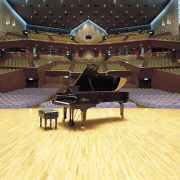 It gives the pianist a good chance as they are learning on a decent instrument rather than a cheap alternative. 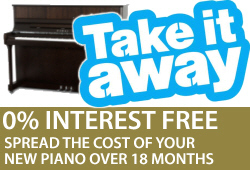 If you'd prefer to own your piano we also offer 0% Interest Finance on piano bought in Berkshire. If you are looking for anything piano related in the Berkshire area, contact Sheargold Pianos on 01628 771400. 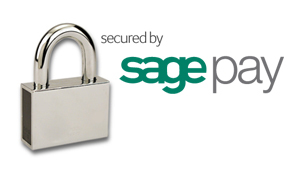 Are you looking to sell your piano in the Berkshire area? 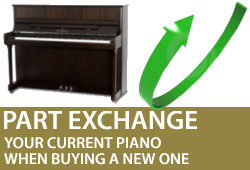 We often buy second hand pianos in and around the Berkshire area. Call us on 01628 771400 with details of your piano for sale. 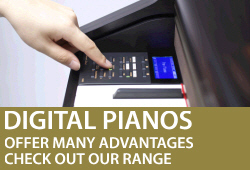 Click below to browse pianos in Berkshire.